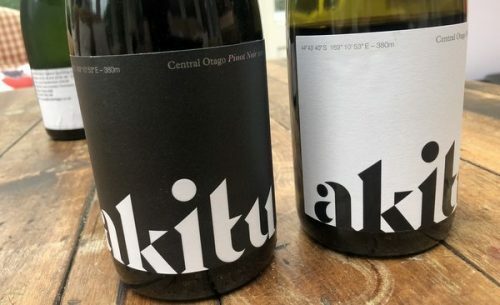 A relatively new arrival on the Central Otago Pinot circuit is Akitu. Andrew Donaldson planted this vineyard in Wanaka back in 2002 on old schist, and the wines are made at Maude under the watch of consultant winemaker PJ Charteris. First release was 2012. It’s solely a Pinot Noir project, and just two wines are made each year. These, the 2016 releases, are spectacular.